This review first appeared in May 2017 on HifiKnights.com. By request of the manufacturer and permission of the author, it is hereby syndicated to reach a broader audience. All images contained in this piece are the property of Dawid Grzyb or Reflector Audio - Ed. Let's see. Bass-reflex two-ways? Dealt with lots of those. Check. Sealed boxes? Check, done those too. Open baffles? Yup, showed up several times already. Rear horn-loaded widebanders fitted into large coffins? Concentric drivers supported by passive membranes? Check and check. What about five transducers on a stick driven by dedicated class D amps? Che…no, wait. Hell, come again? Five drivers you say? On a stick? Now that's interesting. Reflector Audio Bespoke P15 is this review's main course; and of the three-Michelin-stars sort. You've been warned. Enjoy! Every grand operation starts with an innocent idea and Reflector Audio are no different. 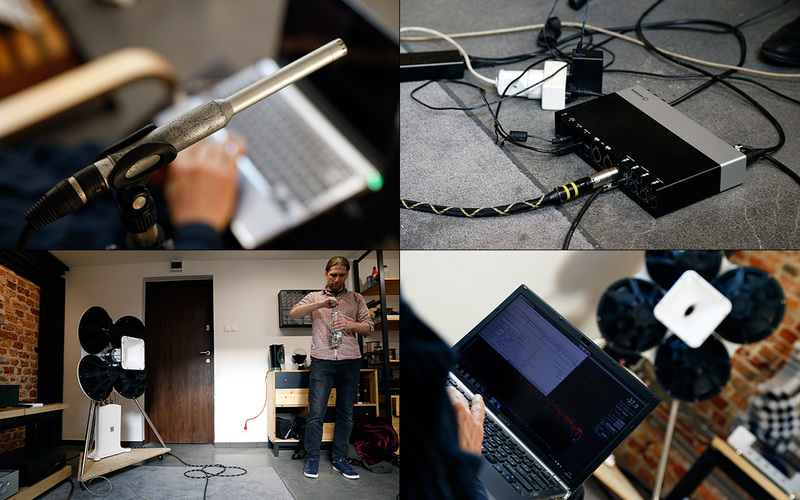 This four-strong Latvian audio manufacture was established in 2014. However, the very first concept around which the vast majority of their portfolio revolves was prototyped already five years earlier. Why the late launch? 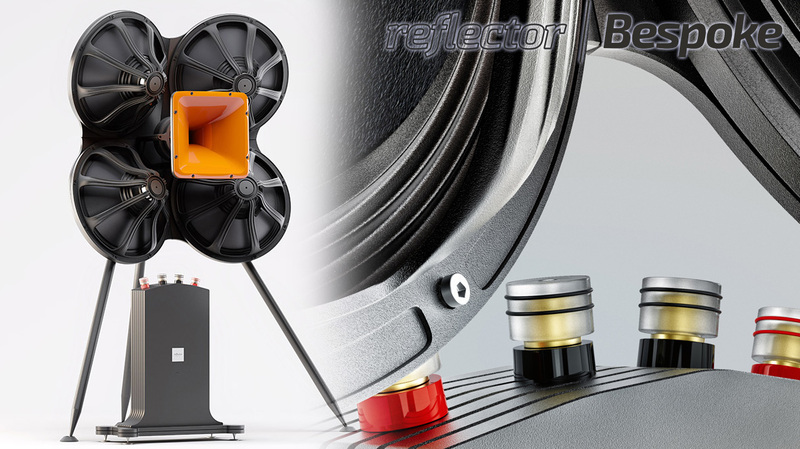 Reflector Audio's team are involved also in other if somewhat similar activities, namely the Russian Tarim Audio and Latvian Square Audio brands. The former is known for amplifiers whereas the latter is into professional studio monitors. Meet Roland Janevich, aged 56, acoustical engineer by trade. His education is radio engineering. In his spare time, he invents. If this is your hobby and you've found a way to be fiscally viable, it makes sense to devote yourself to this task. That's what Roland does. He is the brains behind Reflector Audio's very unusual Bespoke series. Past witnessing his baffle-less idea, the rest of the gang knew that it was too good to be kept a secret for long. Yet things wouldn't be rushed as presumably already back in 2009 it was clear that they would aim very high with Roland's work. They simply needed to join forces to make it happen. Several years later, the time had finally come to focus on the Reflector case. Five very unusual models are the outcome and this review's subject is one of them. The name of the company connects to the concept of the Bespoke series itself. 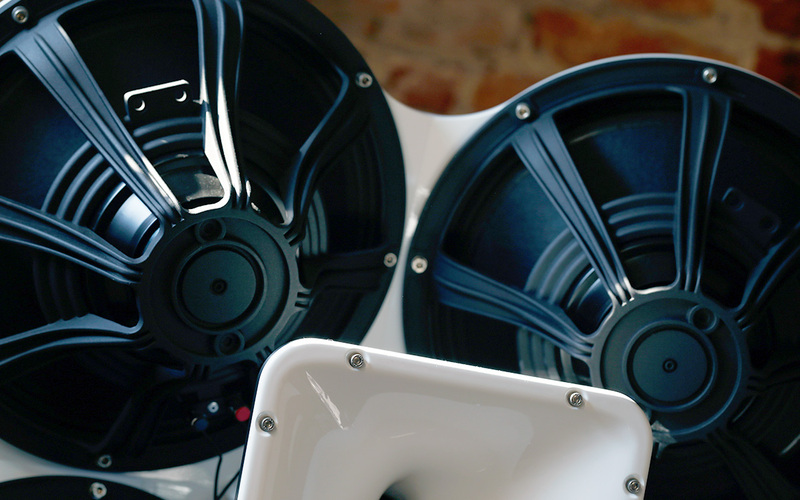 Marketing director Vladimir Chernyakov explained that he and his coworkers believe that a loudspeaker system is a sonic 'reflector' in 'real time'. He said that the word 'mirror' was their initial idea. Yet since sound can't be seen, 'reflector' was used instead. Let's return to the team. Vladimir (53) is one well-educated man. 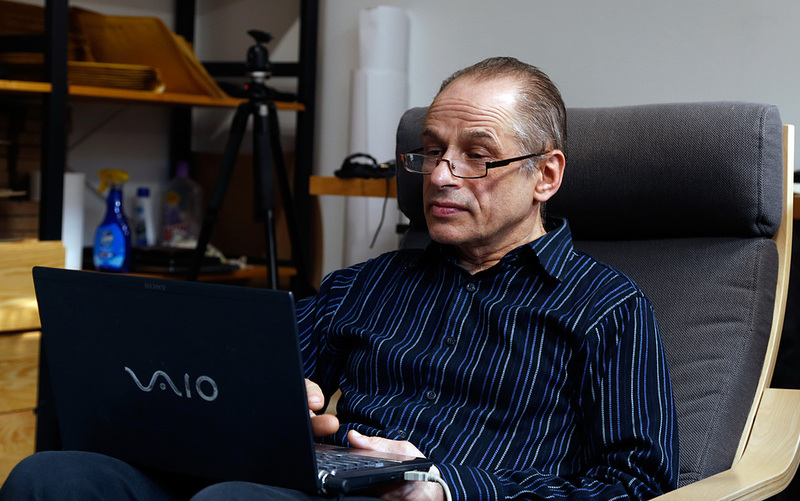 He obtained his PhD in English Linguistics (St. Petersburg University, Russia), finished marketing courses at Suffolk University (Boston) and Social Psychology courses (Berkeley). He's into Rock music, ice hockey, anthropology and history. Roland you've already met. Next is Viesturs Balodis, aged 33, the youngest member. He's the manager and his educational background is in electronics, optics and business. In his free time he plays guitar, listens to music and reads books. Lastly, there's CEO Evgeny Boguslavskiy (49). He's an educated mechanical engineer and music aficionado in his spare time. He's also into building new businesses. As newcomers, Reflector Audio needed a plan for the future. For now they remain quite invisible amongst audio enthusiasts and to fix that to some degree, this review was solicited. 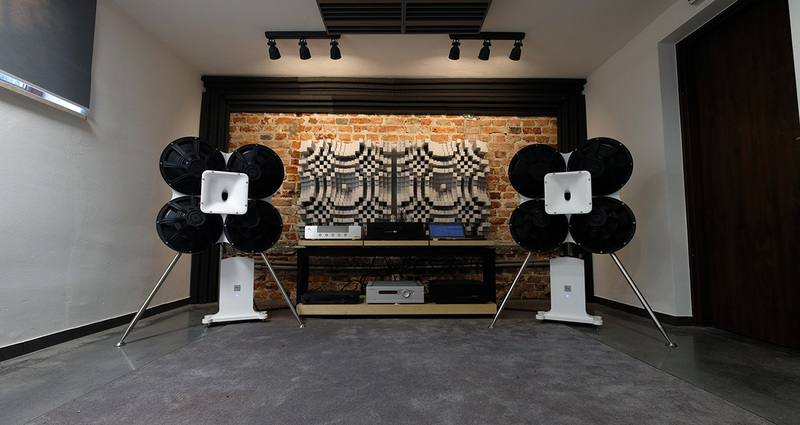 According to Vladimir, their angle is to deliver totally unique technically advanced sound reproduction systems which can represent the musical material adequately in the time and amplitude domains with high dynamic range and significantly reduced distortion. Fancy words? Perhaps, but there's more. This Latvian company reinforce classical music events with their products in Vienna's Odeon concert hall and the Latvian National Symphonic Orchestra HQ in Riga and there are plans to keep this going. Today's Bespoke P15 was installed also in an American recording/post production studio. The company portfolio should expand soon as their R&D team keeps busy. Signal processing and transducer advancements are on the table but shhh, you didn't hear this from me. To summarize, these guys are as busy as bees in midsummer. Reviews are just one small part of their grand plan. Let's take a look at the Reflector Audio site. This can give a decent picture on what to expect. It's clean, informative and posh, with very nice professional photography. It looks very serious as though someone meant business. If a manufacturer of expensive luxury goods hosts a sub-par site, it sets off major alarms. The whole package counts and Reflector Audio don't fail. They know that as newcomers, they can't. There's no room for cutting corners. Everything must be perfect. The same with communication. Viesturs and Vladimir were my contacts. They gave prompt replies, not one question evaded. That surely was a good start. Now let's move to the product itself. Reflector Audio's portfolio is odd to say the least; and very surprising. It consists of the three speaker ranges Touch, Lite and Bespoke. It's safe to call the first regular products, namely two quite usual-looking floorstanders and a monitor. Lite is actually a single model based on an open-baffle topology yet served up in very stylish fashion. Its squared-off shape connected to a massive stand looks nice and intriguing. It's the Bespoke family where one's focus will come to rest. There are four models, each one obviously expensive (€31'000, €35'000, €62'000 and €65'000 for the P15/P18/E12/E15 respectively) and all of them visually odd and quite intimidating. This description can't be different. How often does one stare down five transducers without any box whatsoever, all propped up on three skinny legs? Not often. Not ever in fact, at least not commercially since this visual awkwardness is protected under patent. One might ask why on Earth anyone would do such a thing? Yet rest assured of a number of perfectly valid reasons. As Vladimir explains, in terms of absence of enclosure, it's almost obvious. Internal standing waves, reflections which interfere with driver cones, resonances, energy storage, compression, time domain distortions and so on are all gone when the box itself is gone. The sound radiates solely off the drivers and not against an enclosure or baffle. The other important feature of a loudspeaker without baffle is lateral radiation absence [the figure-8 dispersion pattern caused by counter-phase cancellation around all the edges of this contraption - Ed.]. One practically eliminates reflections from nearby walls, floor and ceiling which leads to less room resonances.